Last week, I was here for a food tasting with a bunch of blogger. 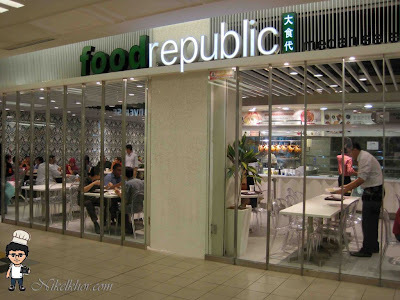 From previous, I only know that Food Republic was root at Pavilion for their very 1st branch in Malaysia and now its has another branch at One Utama. Hence, its was a great news to me since it is near to my place. I had been passing by here quite several times but yet to try. Kinda shame of me. 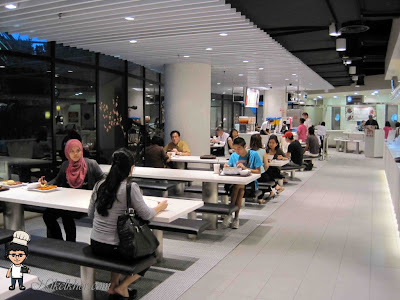 The 13,000sq ft food atrium can seat 550 at full capacity and has 15 tenants with an interesting mix of cuisines ranging from Malay, Chinese, Japanese, Middle Eastern, Western, Taiwanese and Malaysian. There's something for breakfast, lunch and dinner. The sleekly modern white on white décor adds to the dining experience, boasting a view that no other food atrium can claim. Perfect for watching the day go by or for some quiet contemplation over a really good meal. 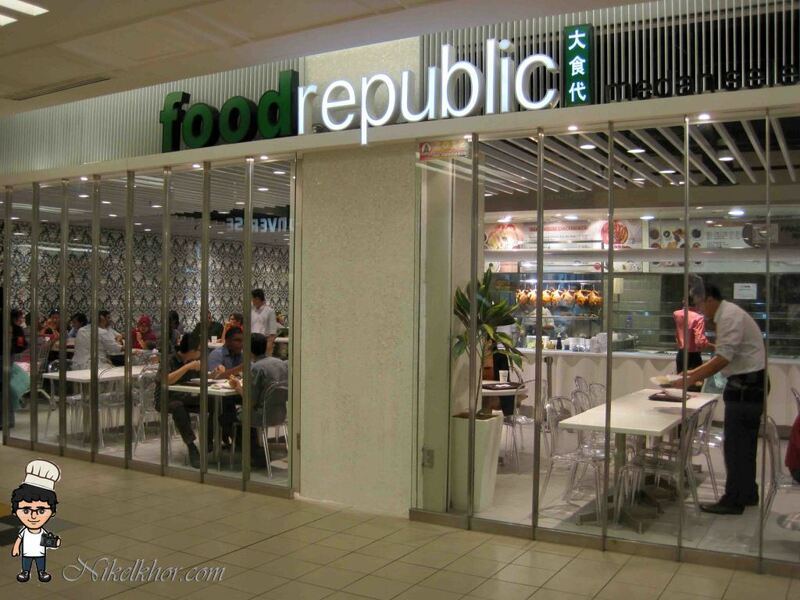 For a short note, Food Republic is a food court chain run by the BreadTalk Group based in Singapore. 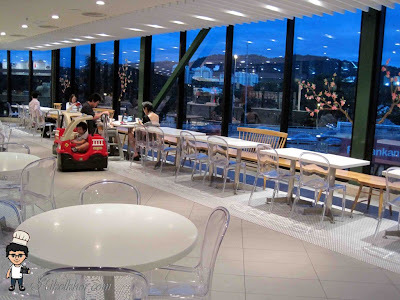 The concept combines local hawker fare with mini restaurants (some of which have exclusive seating) in an open dining concept. Some stalls are also run from standalone pushcarts. 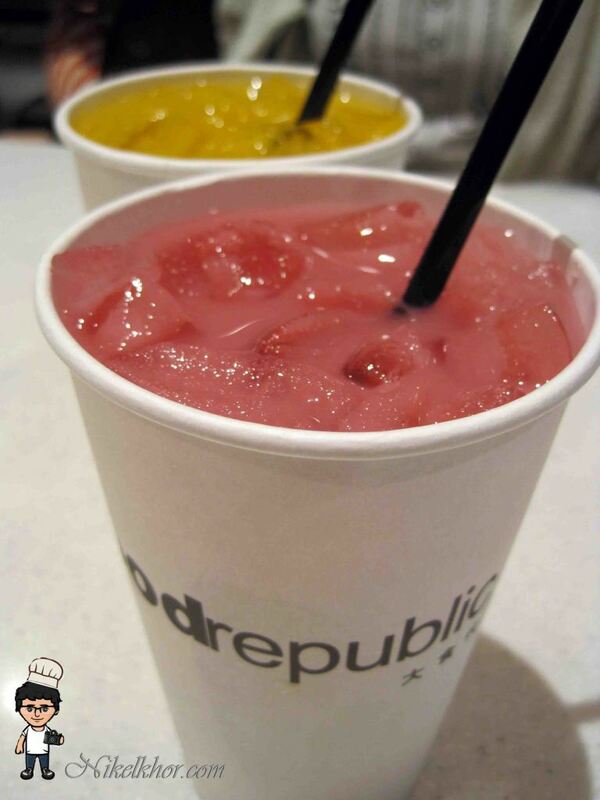 Let start introduce some of the highlighted stall in Food Republic. 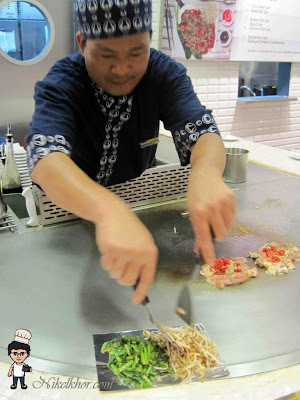 Pepper lunch is quite familiar to Malaysian, as it is rooted in many shopping malls in KL and PJ. 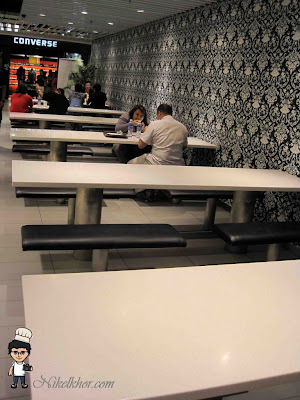 Yet, this is still one of my favourite stall because they provide decent portion of food at reasonable price. 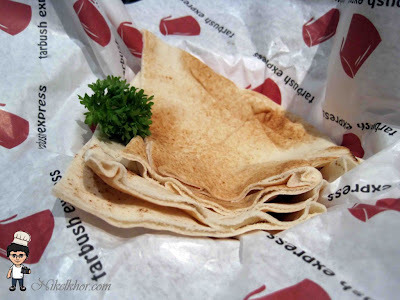 Mix it yourself while it is still hot. 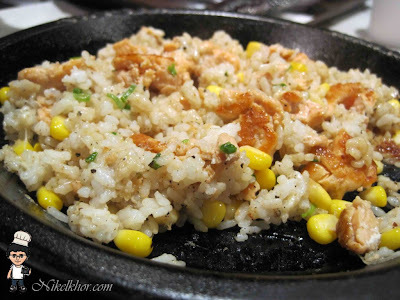 Fried rice is best served with honey brown sauce. Nice and delicious. Like the salmon to the max. 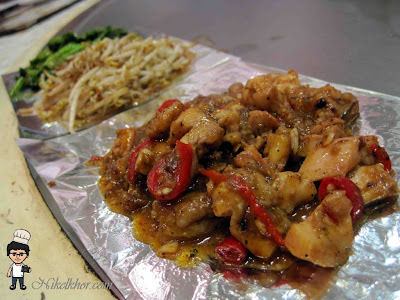 This dish is dedicated to my halal diet fans and friends, who always looking for halal char siew. 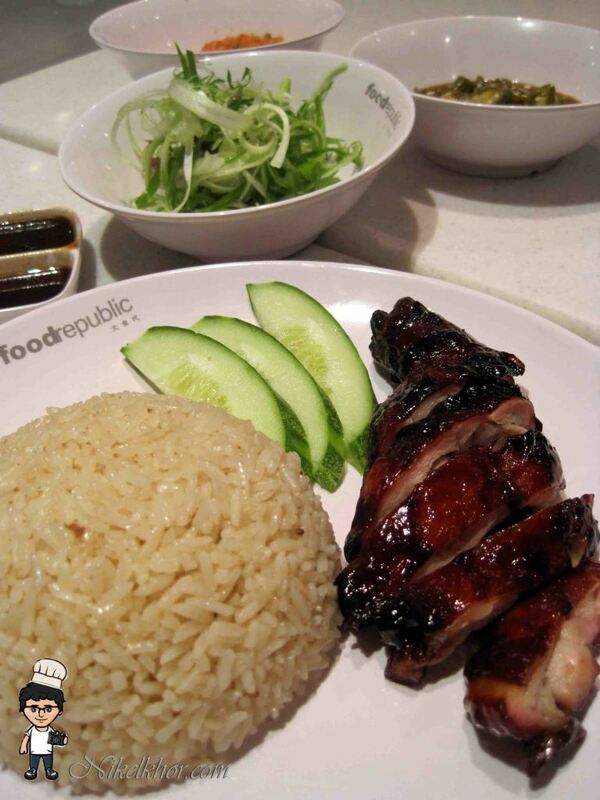 By replacing the BBQ pork by chicken drumstick, but still retain the true flavour of Hong Kong styled roast. Another worthy meal set in Food Republic. 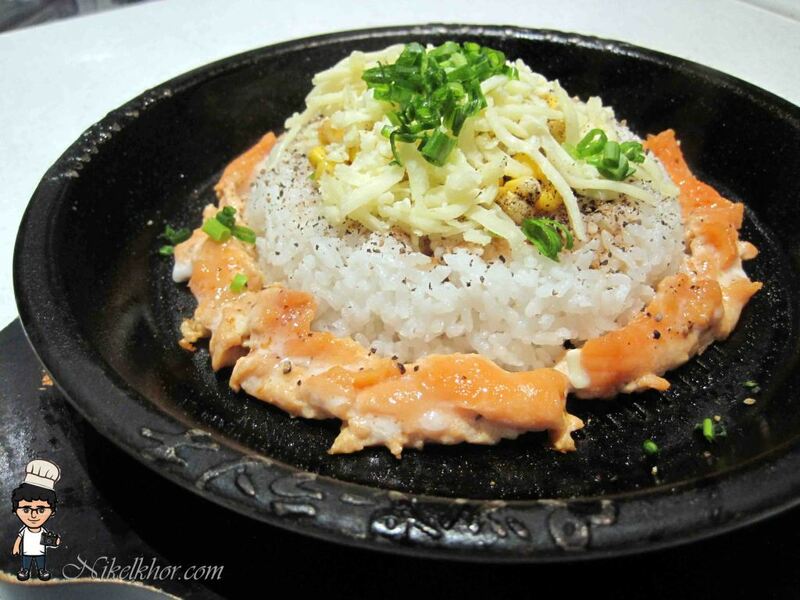 A large piece of salmon definitely satisfies your craving to salmon. 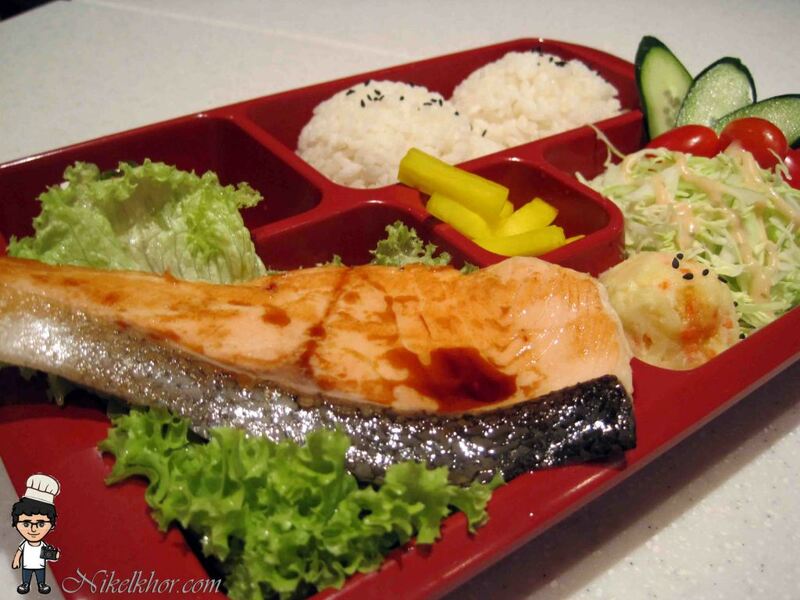 To balance up the nutrition, they also provide mashed potatoes and salad as side dishes. A very refreshing Thai street food. You can either treat it as a salad before meal or a snack. The sourness of the salad certainly opens up your appetite. 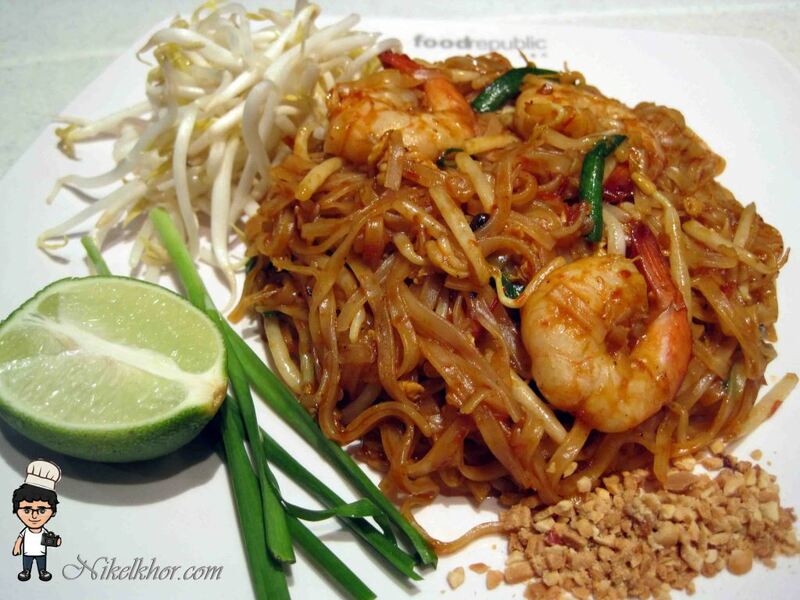 Wonder what is Phad Thai? According to the owner of the stall, it is a kind of rice stick noodles. It looks like char kuey teow, but the taste is quite different. The fresh and raw tau geh (bean sprouts) on the side is optional, but the stall owner encouraged us to mix the tau geh and the crushed peanuts to add some crunchiness to Phad Thai. 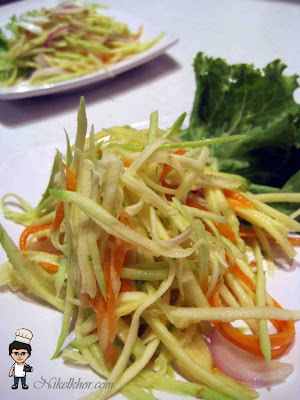 Diners are reminded to squeeze in lime juice also, to add on some different flavour to the noodles. Rice is served in a bamboo made steamer, give me an impression of Hong Kong styled cheesy baked rice. 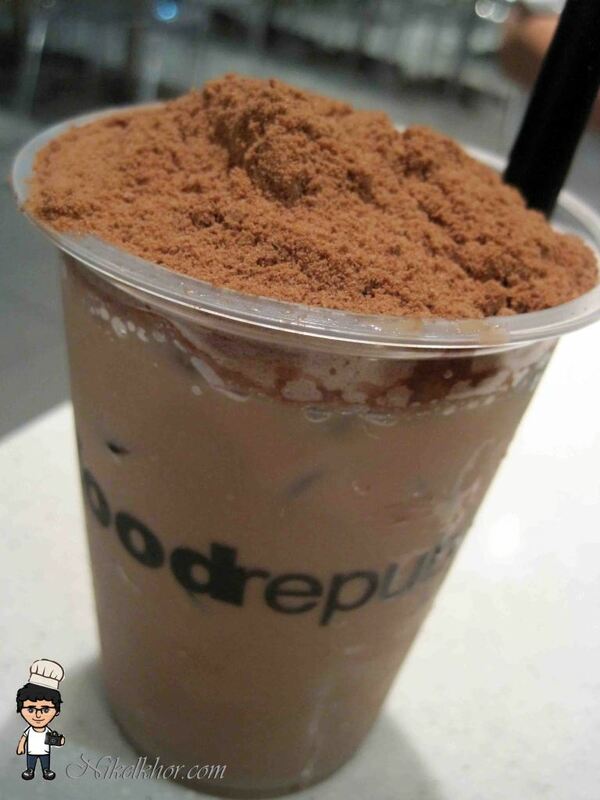 But the taste and the combination are somehow different. The curry chicken is cooked using Indonesian recipe, which is mild and not too spicy. 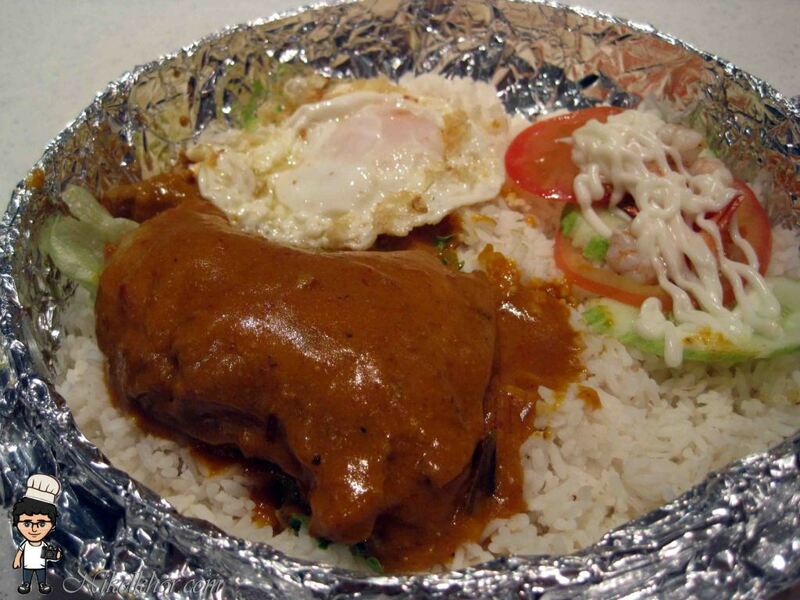 Best to have the curry gravy with rice! 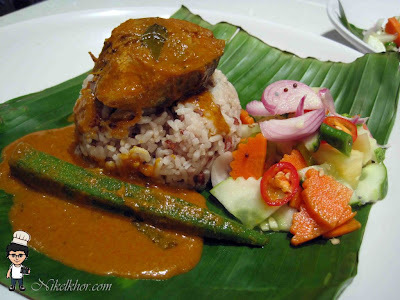 A traditional Kelantanese cuisine. The rice is not ordinary rice, but red rice, cooked with some herbs. The rice looks attracting and healthy by its original colour. Served with a piece of tongkol fish and Acha. Tongkol fish is also known as local tuna, which has firm and solid texture. Diners who lean their preference to chicken can also request to replace the fish by rendang chicken. 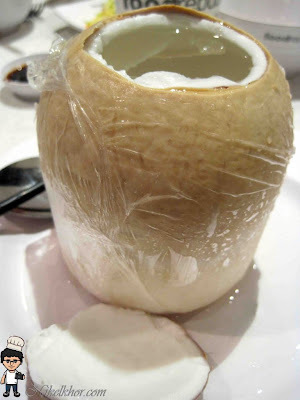 The owner is a Sarawakian, who bring over the taste of East Malaysia to Peninsular. 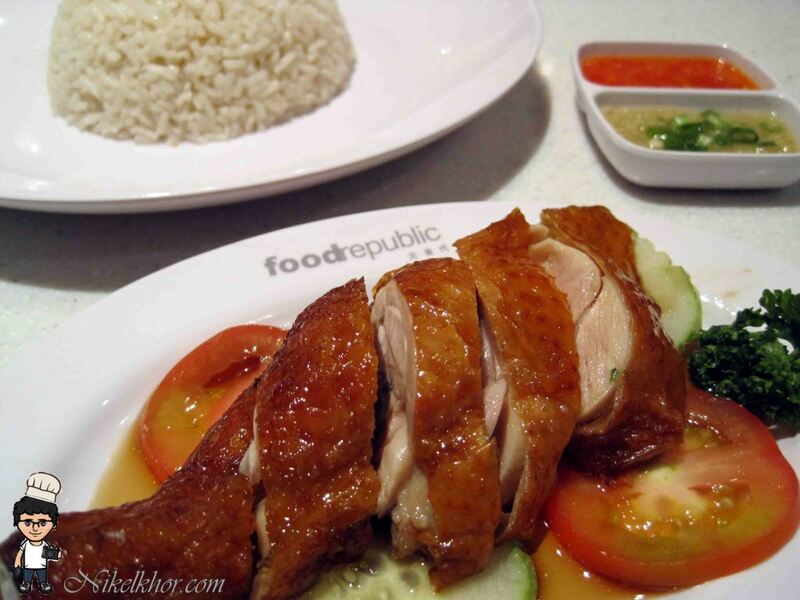 Wonder how Sarawak chicken rice tastes? 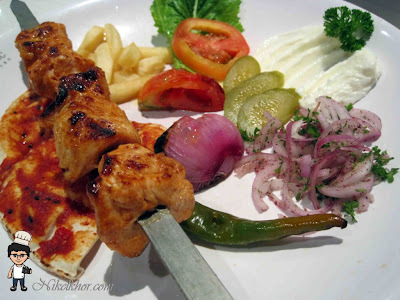 Just order 1 plate to try it out. By the way, the chicken is well marinated and roasted, can't help myself from taking second piece, although I am already full. Notice the sauces in the right top? I like the garlic-ginger sauce! Beside chicken rice, their signature and best selling item is curry mee. Only early birds have the chance to try on their curry mee. Surprised to see high quality food with good presentation in a food court. 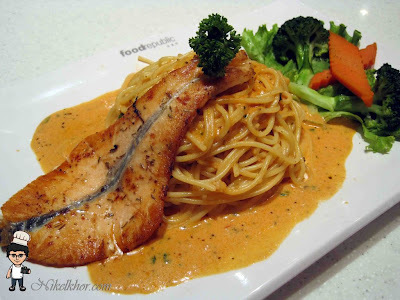 A large piece of salmon on the top of the spaghetti, slightly baked before served. The sauce of spaghetti is made from fresh cream and tomato, creamy enough! True flavour of Italian cuisine. 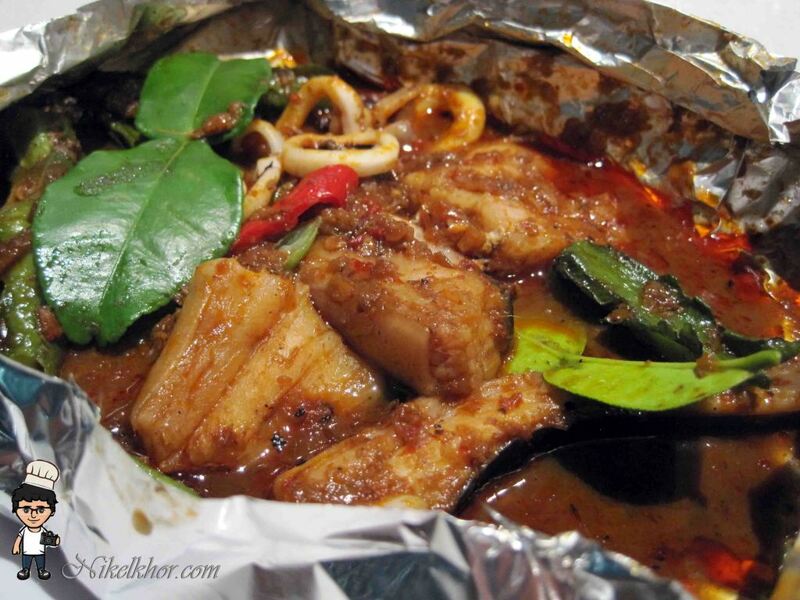 Distinguished from the normal grilled stingray that I had eaten before, this grilled fish is cut into pieces before grilled, to enable the fish absorb the flavour of the chili sambal gravy. The lime leaves give some fragrant to the fish too. Overall, it is not too spicy and goes well with a bowl of rice. Authentic Middle East cuisine by Tarbush Restaurant. If you are always wander around Bukit Bintang, certainly would not feel strange to Tarbush Restaurant. Their Middle East cuisine can consider as one of the best in town, because they hire chef from Middle East,Syria enable Malaysian and Middle East traveller to have the authentic taste from Middle East! People from gym are the regular customers of the stall, as the tender chicken provides high protein and contains low fat. 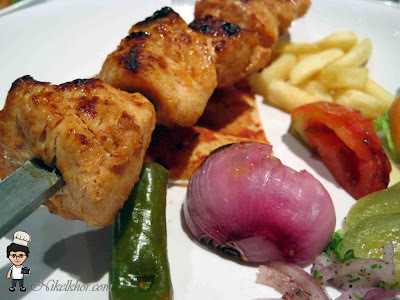 Girls, who want to diet can have this cuisine without worries! Decent portion of Teppanyaki chicken chop.The chicken is well cooked and easy to eat because the chef have already cut it into biting size.The bean sprouts and vegetables are also well fried, to retain the crunchiness. @laura Ya.. I think of that too.. Will be there for their salmon pepper lunch..
@smallkucing Em.. try their thai food.. really good! @fish Ya.. Can find all best food in one place.. such convenient! @isaac Filled with all those yummmy food! @choiyen Ya.. All the price tag seem to be lower than other nearby restaurant! @Charmaine Sure.. There are open welcome to you anytime..